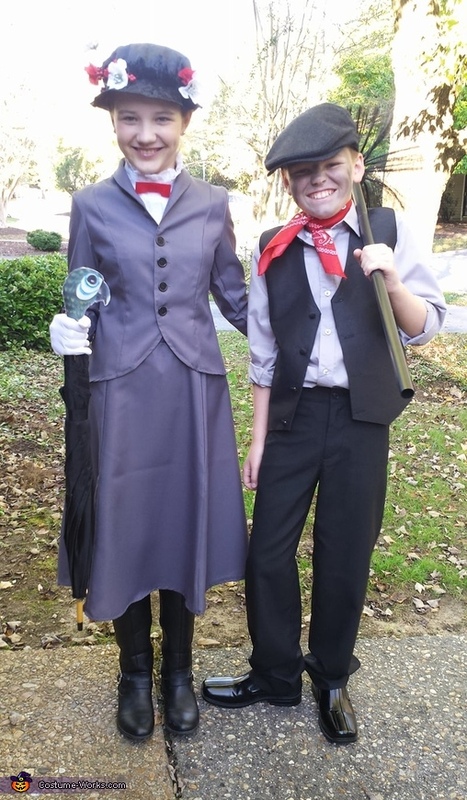 This is Rachel and Ethan and they are showing their costumes for last year; Mary Poppins and Burt. The "nanny" costume for Rachel was purchased online, but everything else was pieced together from various sources. Total cost was about $75 for them both.